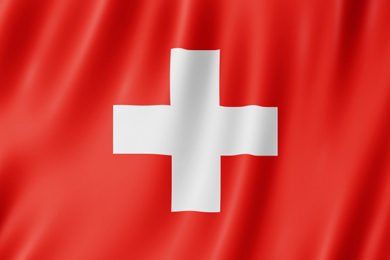 The Swiss Wood Market Commission (HMK) met on January 16, this year for the first time with representatives from the Swiss Industrial Wood and Wood Energy sector. The Swiss wood market is still under the influence of beetle wood, according to the commission. The Swiss wood industry is still prepared to process beetle wood, but at the same time reports an increasing demand for fresh softwood. Depending on the weather, much additional beetle wood is expected starting this spring. Hardwood is in good demand. Both parties continue to rely on price stability. The Swiss sawmill industry was able to benefit from the good construction activity in Europe and Switzerland in 2018 and was working at full capacity or virtually full capacity throughout the year. Thanks to the extraordinarily high demand for sawn timber, a corresponding amount of beetle wood was cut, which brought the sawmills to their capacity limits. The Swiss forest owners, however, had to accept some significant yield losses due to the high percentage of damaged wood. To make matters worse, the limited export opportunities resulting from oversupply have also affected neighboring countries. The market forecasts for 2019 are still positive, if not quite as rosy as in the previous year. The demand of the Swiss construction industry for wood products is estimated to be similarly solid for 2019 as in previous years. Beetle wood can only be taken up to a limited extent by the wood industry due to the still full warehouses and tends to fall in prices. On the other hand, many sawmills now report an increasing demand for fresh softwood. The demand for hardwood remains high, both for sawable roundwood (especially oak and ash) as well as for industrial and energy wood. The demand of the Swiss wood industry for fresh wood in good qualities should be considered as far as possible, however only clearly agreed quantities on concrete orders, recommends the HMK. Forest owners should reduce the old forest camps as far as possible and use fresh wood until spring. Thus, from spring, fresh, high-quality beetle wood can be delivered directly to the sawmills. In order to contain the expected bark beetle calamity, the standing softwood in the forest must continue to be well monitored. Infested trees have to be removed from the stock for reasons of forest protection. Both parties agree that given the regionally different starting point and the uncertain beetle development, it makes no sense to issue new price recommendations. For fresh wood, price stability is still recommended, coupled with concrete quantity agreements, so that only the quantities and assortments that are effectively needed come onto the market. The Wood Market Commission meets again on 25 June 2019 to reassess the situation.